Hungary for Budapest? Eager for Egypt? Set your sights on stalking Saint Lucia? 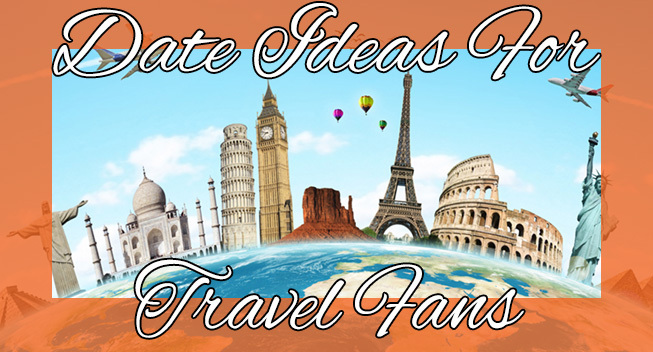 These date ideas are travel size, so make sure you’re in flight mode, ensure your seat belt is fastened and get ready, because these date ideas for travel fans are taking off! Who says you need to be organised to have fun?! Perfectionists mainly. But how about you mix it up and throw away your schedule? Decide on a starting point, could be a train station, airport or simply a landmark near you. Meet there and just wander. Go where your heart takes you! Who knows where you’ll end up. What an adventure! Go and see your favourite band perform abroad. You’ll more than likely find a completely different atmosphere. It’ll also make you look and sound like true mega-fans being a part of the tour. Well I for one have some packing to do now.